How to play Blu-ray on iPod touch easily? Have you already got an Apple in your hand? Since released, all Apple mobile devices have been prevailing all over the world. So far, there is an increasing demand among Apple fans to play Blu-ray on there beloved iPhone/iPad/iPod touch, which is the only widely-used HD format for optical media and capable of supporting 1080p video. Under the circumstances, Macgo Inc released Mac Blu-ray Player 2 serial version to solve the problem and satisfied all users. With its exclusive AirX technology, Mac Blu-ray Player can play any Blu-ray video on your iPhone/iPad/iPod touch wirelessly and ultrafast. Here we specially mention about how to play Blu-ray on iPod touch, the most advanced multi-touch display by easily with Mac Blu-ray Player. 5. Network connection: make sure that the Mac/PC and iPod touch are connected to the same home Wi-Fi. You can download the suitable version for your computer from the official website. Both Mac and Windows system are supported: Mac Download and PC Download. Then install the software. 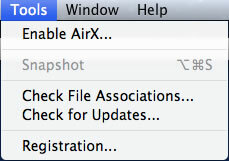 Open Mac Blu-ray Player and enable the AirX option under the ” Tools” menu before inserting Blu-ray disc or playing Blu-ray ISO or local movies. 2) Click on “Open File” or “Open Disc” button to launch the Blu-ray movie. The loading speed is ultrafast. After a couple seconds of loading, the screen will turn black and then you can get the URL “http://airx.tv “. Open “Safari” in your iPod touch and input the URL above into it. 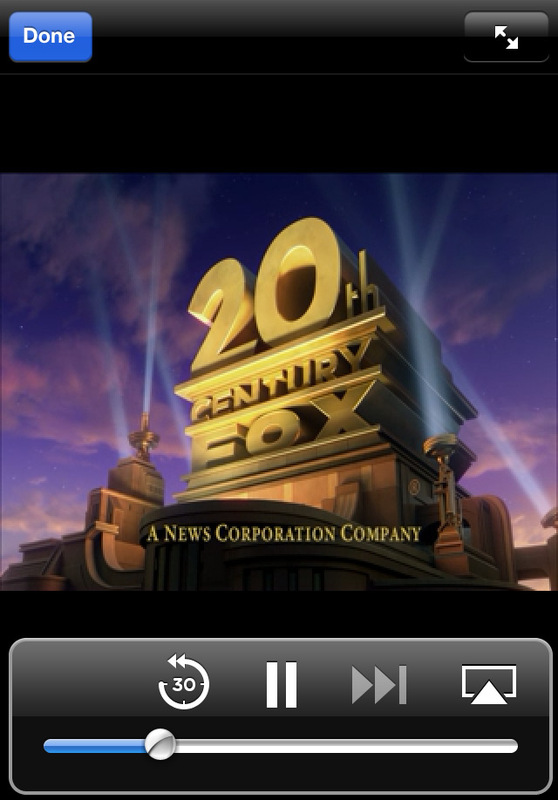 Then the loaded Blu-ray source will be listed, you can enjoy Blu-ray movies on your iPod touch then. After watching the movie, you can save the URL as a shortcut on the home screen of iPod touch, so that you can open the URL directly next time. Specifically, press the save button on your iPod touch and select the “Add to Home Screen” option, and then it will be saved as a shortcut on the home screen of your iPod touch. Note: Mac Blu-ray Player can play all Blu-ray sources, BD-ROM2, Blu-ray ISO, etc. 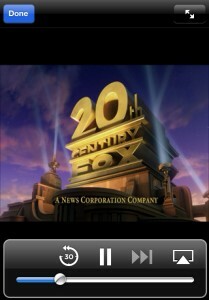 « How to play Blu-ray on iPhone?